The Weekly Weather: The weather during the first part of last week was pretty warm, but then on Thursday we had quite the storm come through. It seemed to bring with it weather that is a bit cooler. Friday evening it also rained a bit, and then yesterday and today have been gorgeous. It’s only been in the mid-70s in the mornings, mid-80s in the afternoons, and low-90s in the late afternoons. It’s almost as if Mother Nature was apologizing for what happened in the month of August. 😉 I’m not sure if it will stick around, but I sure hope it will (and even a bit cooler wouldn’t disappoint). 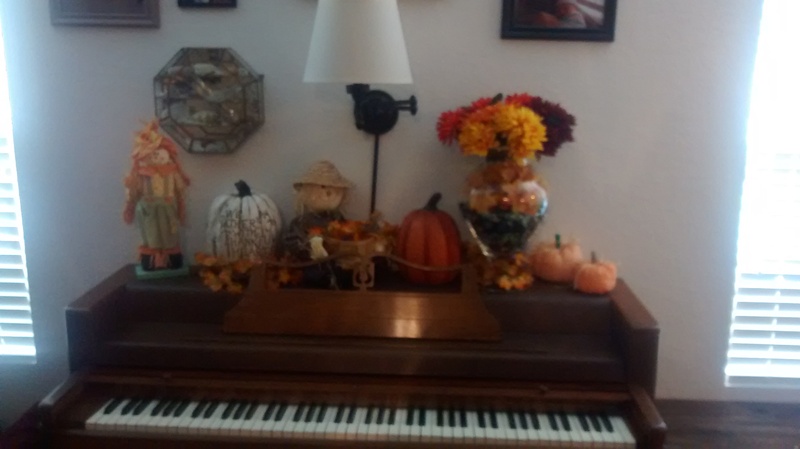 What Sarah’s Been Up To: I’ve mainly been getting back into the swing of things with my students as well as getting choir stuff ready for Thanksgiving and Christmas (yes, you read that correctly). I love this time of year that we are coming into. What Joseph’s Been Up To: Here’s the stats from his appointment this past week: he’s 40 inches tall and now weighs 37 pounds. That puts him right about average for his age. We’ve also started potty training hard-core. He only wears a Pull-up at night. We made a chart to reward successes where he can earn prizes and it hasn’t been nearly as messy as I thought it would be (that was really why I was holding off on it). He’s had a couple of accidents, but it hasn’t been bad at all. He’s also showing us that his decoding skills are rather impressive. He tries really hard to read words that he sees. A lot of the time he gets it right and the rest of the time he’s really close. 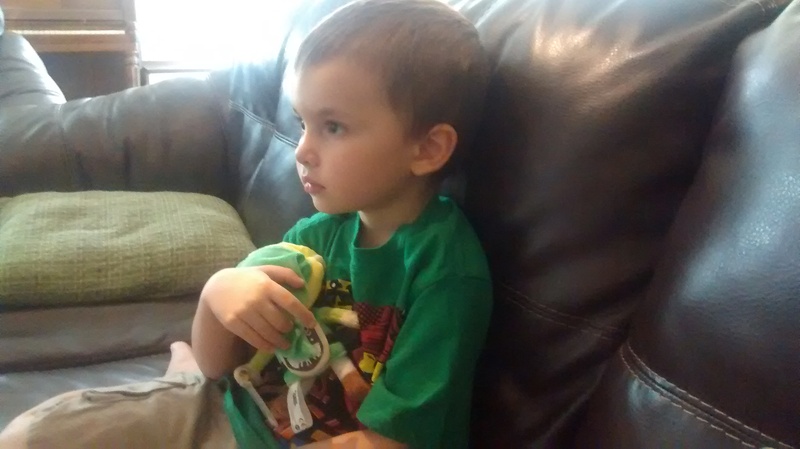 One of our friends gave Joseph a plush Link for his birthday. Joseph was over the moon about it! 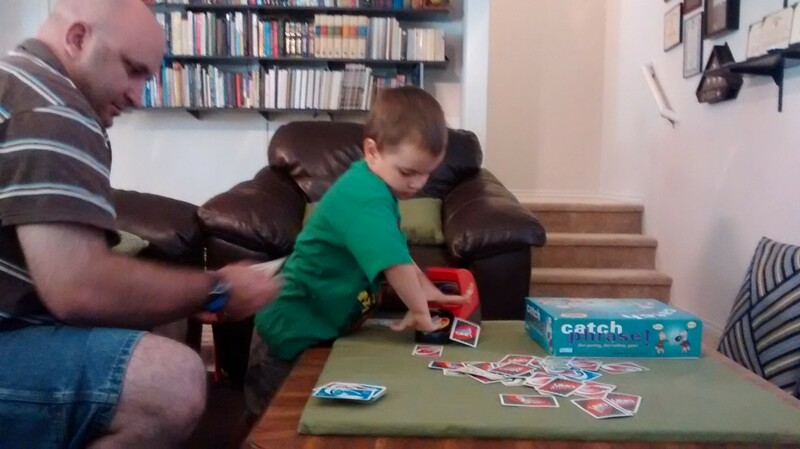 Joseph has a rather interesting way of playing Uno Attack. 🙂 He really, really likes to push the button and isn’t much interested in any other aspects of the game. The decorations are up! Bring on the sweater-wearing, soup-and-stew-eating weather! Oh, and boots. I’m excited that (hopefully) soon it will be cool enough to wear my boots every day because, well, I love my boots. 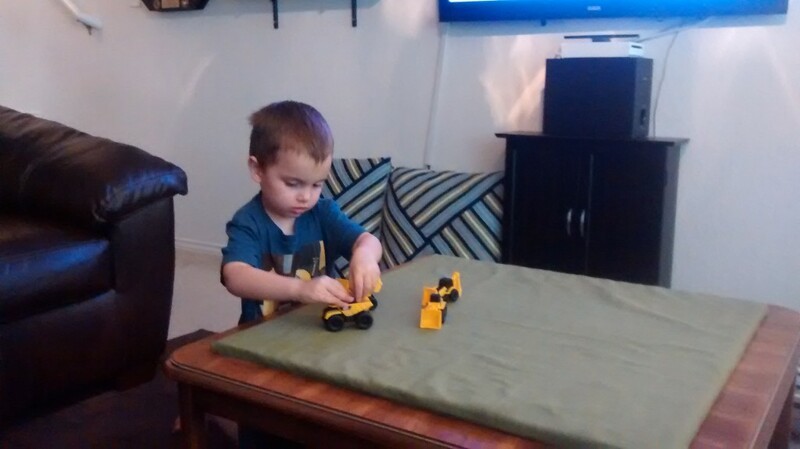 He was using his construction vehicles to move around fruit snacks. Only the fruit snacks were “rocks”. 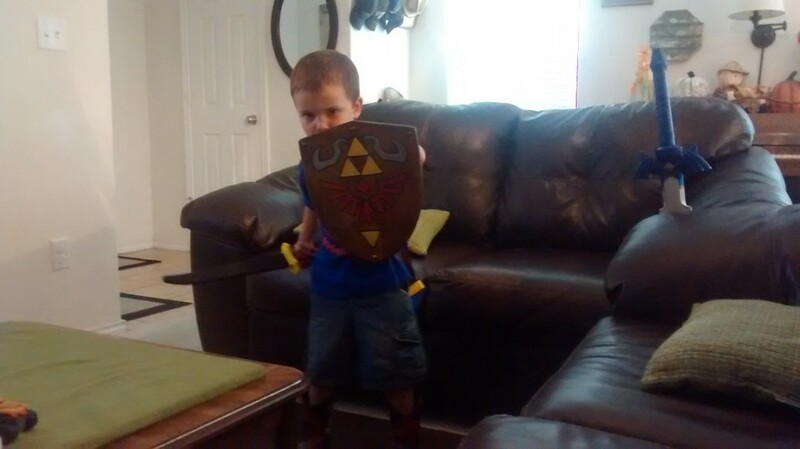 Dressing up as Link from Legend of Zelda. He was protecting me from the bad guys. And I quote (and said while he was climbing up into my lap and then snuggling down next to me in the bit of extra space), “Look, Momma! This chair is made for two!” Bye-bye personal space, lol. 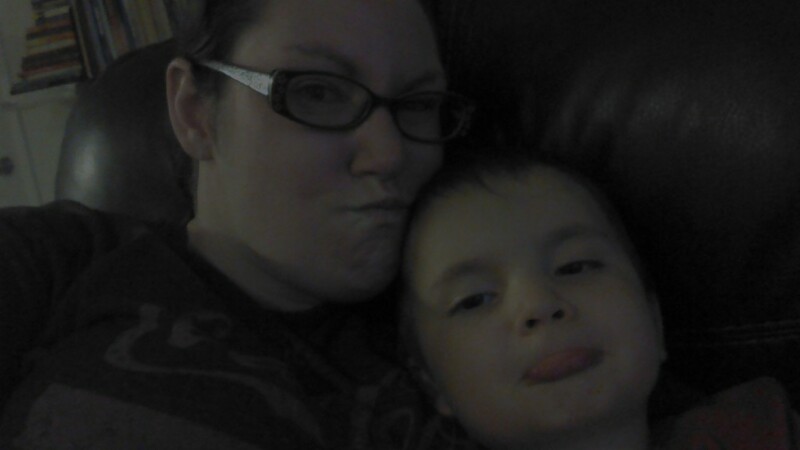 Good thing I love cuddling with my little man! He was playing “Army doctor” with Paul. 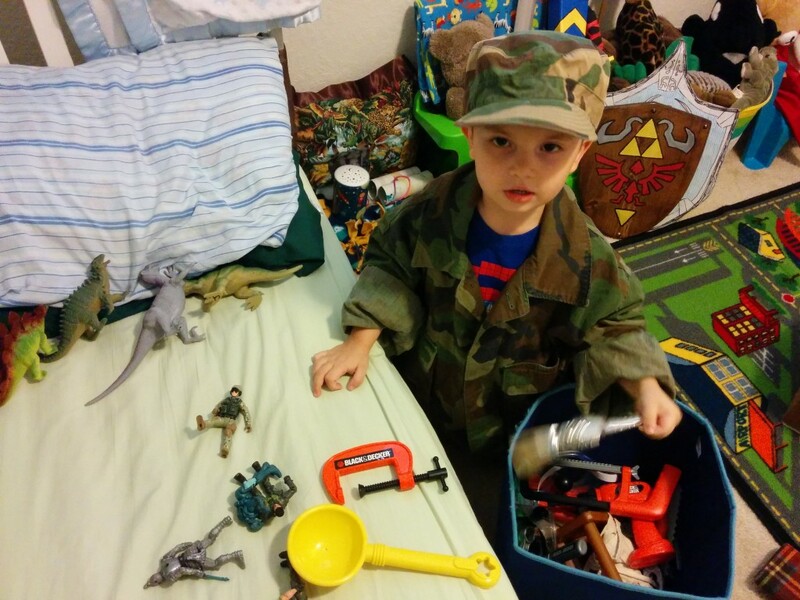 Apparently his action figures and dinosaurs were the patients. The bed itself. 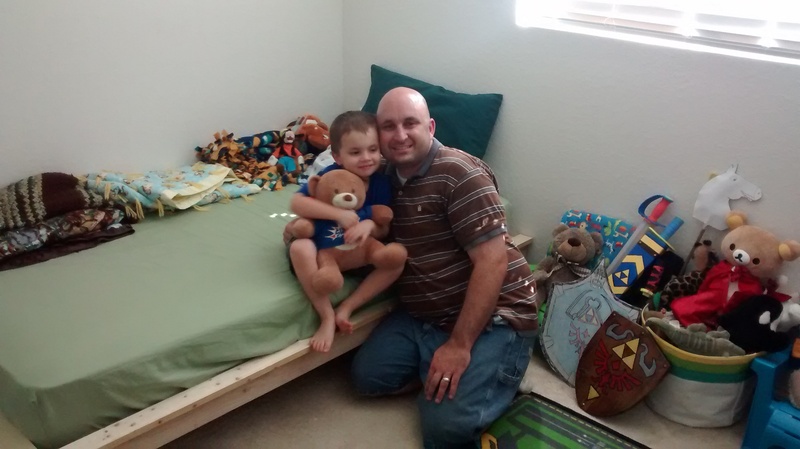 Paul designed it so that it would be relatively easy to add a top bunk if we ever need to. 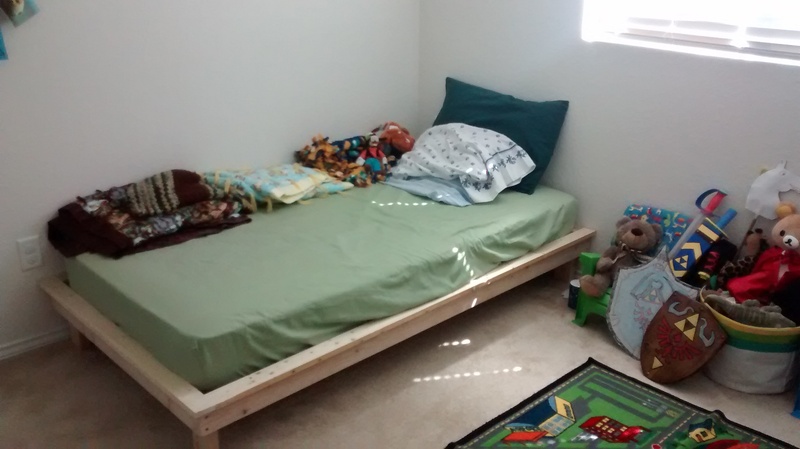 He will eventually build a headboard which will be anchored to the wall and then he’ll stain it all. Joseph was really excited, and I was about bursting with pride. We’re so lucky to have such a talented man to call husband and Daddy. 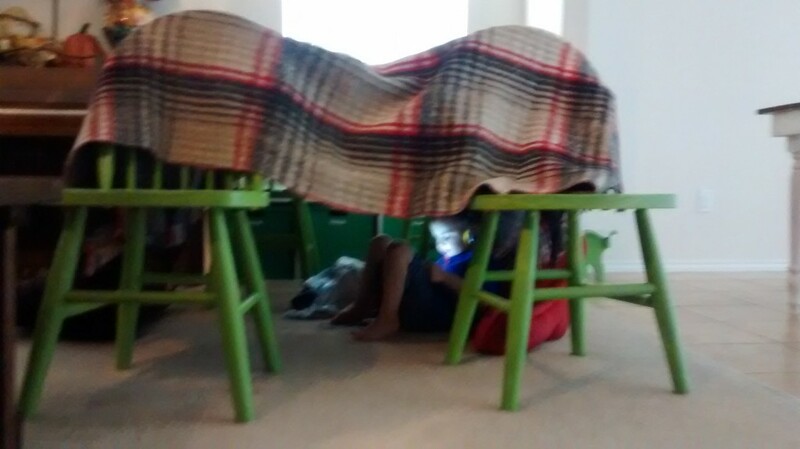 Joseph’s fort (I talked him down from a huge cardboard castle to a blanket fort). He dubbed it “Joseph’s Alamo”, complete with an entrance sign that reminded guests that there was no roaring allowed, as well as an exit sign thanking them for visiting Joseph’s Alamo. Apparently his “Alamo” comes stocked with cushy places to sit, a library (where he works), and a pot full of broccoli soup (I have no idea where that came from…he’s never even had broccoli soup). 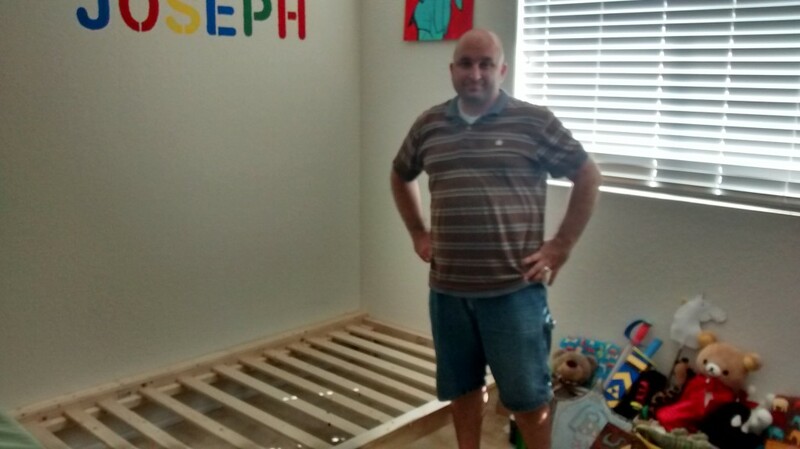 When it came time to dismantle it, he wasn’t very happy until I told him that we could build it again the next day. 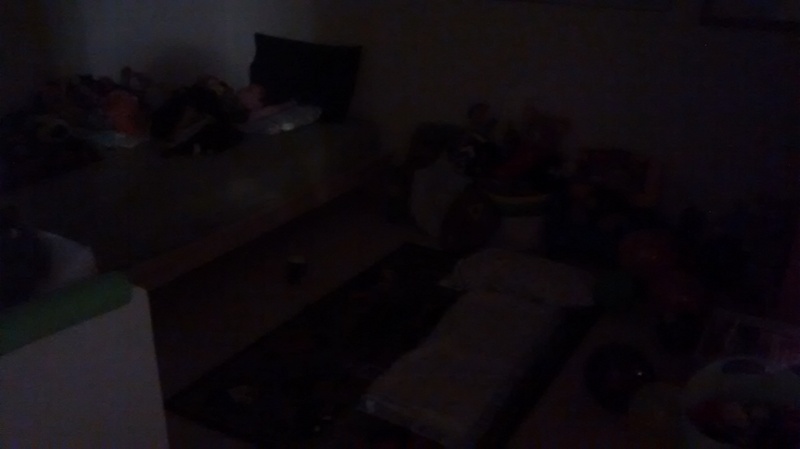 It’s really dark, since I didn’t want to wake the sleeping little dude, but you can sort of see the bed that Joseph made on the floor for Burple (the monster from his current favorite book, “A Monster Moved In”). You can also kind of see Joseph sleeping soundly in his new big boy bed. 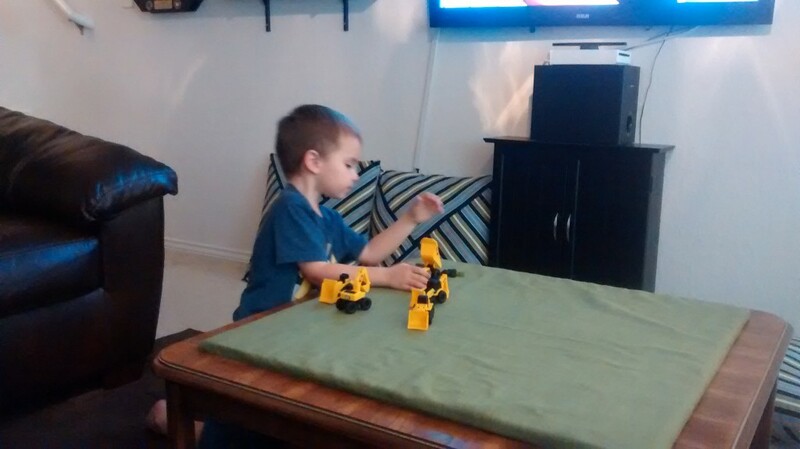 As he was going to sleep, he was telling me about Burple coming to visit, and how Burple would have to go past the “destroyed Alamo” (I guess he was still upset about me taking his fort down) before coming up the stairs to spend the night in his room.